What Are the Differences Between a Future Annuity & the Present Value of an Annuity? You can't outlive a life annuity. 1. What Is the Difference Between an Ordinary Annuity & an Annuity Due? 2. 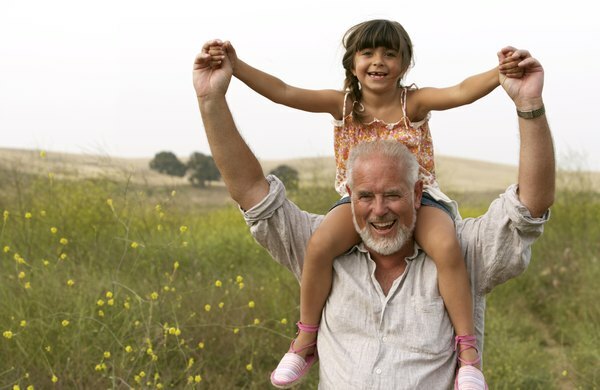 Can You Rollover an Inherited Qualified Annuity? You buy an annuity to receive periodic cash payments for a fixed period or for the rest of your life. Insurance companies sell annuity contracts or policies that pay either a known fixed amount or offer variable payments based upon how the annuity in the policy is invested. The cash value of an annuity, on the other hand, is the amount you would receive if you ended the annuity today. A future annuity is one that begins to pay out after its accumulation period, while the present cash value of an annuity is the current value of these future payments. A future annuity is one that doesn't begin making payments until after the accumulation period. It’s also known as a deferred annuity or delayed annuity. You build up the annuity's cash value during the deferment period by making one or more premium payments and investing those payments in fixed- or variable-rate investments. In contrast, an immediate annuity starts paying out right after you pay a single premium. The cost basis of an annuity is the amount of cash you paid into the contract. However, the cost basis doesn't include any tax-deductible contributions to a qualified annuity, which is an annuity residing in an employer plan or individual retirement account. You need to know your annuity’s cost basis to figure the taxable portion of the payout. A future annuity comes due on the annuity date. On that date, you choose whether to accept the cash value as a lump sum or as a series of payments over the annuity period. If you take the lump sum payment, the taxable part is the excess of the payment amount over the cost basis. If you take the periodic payments, the part of each payment stemming from the cost basis is tax-free, but the rest is ordinary income. If you take the lump-sum option from a qualified annuity and you are younger than 70 1/2, you can keep the money in an IRA and postpone taxes until you withdraw the money. You can evaluate an annuity by measuring its present value and its future value. The future value of an annuity is the sum of the cash payments for a set number of periods, increased by the interest you could earn on the payments by saving them rather than spending them. If you have a life annuity, you can use your life expectancy to figure the number of payments you’re likely to receive. Internal Revenue Service Publication 590 contains the official life expectancy tables. You can calculate future value in a spreadsheet or with a business or online calculator. You’ll need to plug in the amount of each payment, the number of payments and the interest rate you assume you could earn on the payments. Present value tells you how much your annuity is worth in today’s dollars. Dollars you receive in the future are worth less than today’s dollars because you can’t earn interest on future dollars until you receive them. Also, inflation might rob future dollars of their buying power. The interest rate you can’t earn until later is called the present value discount rate. You plug this into the present value calculation on your spreadsheet or calculator, along with the amount of the periodic payment and the number of periods. The higher the discount rate, the smaller the present value of the annuity. Credit Karma: How Do Annuities Work? What Is the Difference Between Fixed Annuity & Fixed Index Annuity? What Happens to Cash Surrender Values After the Final Premium Payment? "Definition of ""Future Value of Annuity Factors"""
Is A Variable Annuity Death Benefit Taxable?